For years I have spouted my undying adoration of the Epcot International Flower and Garden Festival as my favorite and not-to-be-missed annual event at Walt Disney World. One event I haven’t expounded upon much is Star Wars Weekends which regularly comes at a time when I cannot get down to Florida. I’d be lying if I didn’t say one reason I haven’t talked about it much was because I was trying to keep my geektitude under cover (umm, hi, I daily write articles about Walt Disney World which regularly feature my fanboy enthusiasm for Muppets, Indiana Jones, and Star Wars). Aside from travel time and my thinly veiled attempts to keep my nerd-level within acceptable parameters, the main reason I don’t speak often about Star Wars Weekends is that, aside from Walt Disney World, there is nothing that can make me a six year old boy again, both in terms of excited geek-outs and drawing my ire at mishandling, like Star Wars. 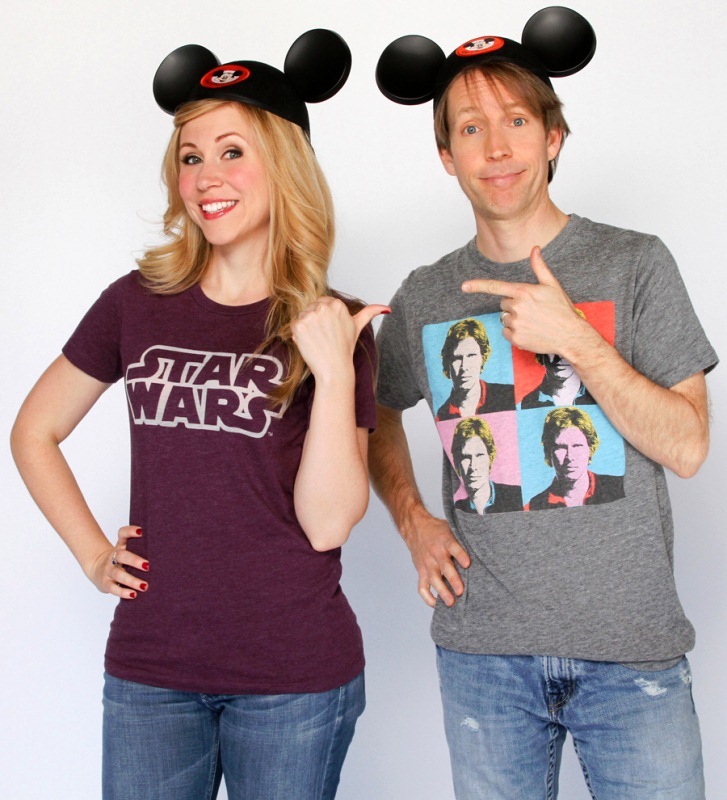 It was announced earlier this week that James Arnold Taylor, the voice of Obi-Wan Kenobi in Star Wars: The Clone Wars, would be the official host of Star Wars Weekends 2012. 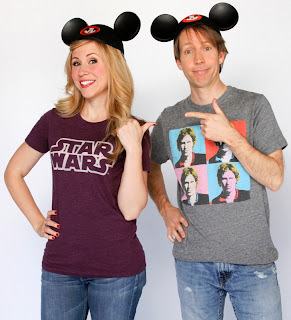 Taylor will be joined by fellow Star Wars: The Clone Wars voice artist, Ashley Eckstein, Ahsoka Tano in her Star Wars alter ego, who will take center stage for the Behind the Force showcase. If you haven’t caught on yet, the pair are clearly meant to highlight Star Wars’ current focal point, the Star Wars: The Clone Wars animated series. While Star Wars: The Clone Wars is clearly the swankiest starship in the fleet at the moment, and as a child of Ewoks and Droids I’m not afraid to admit that I’ve had multiple viewings of each episode, but animated programs isn’t the foundation upon which the Force was built. Eckstein is a veteran of hosting duties at Star Wars Weekends, and the incredible pieces from her design label, Her Universe, are spectacular. I was hoping she would be tapped for further hosting duties this year, but I was also hoping for a pairing with an actor or actress from the feature films. Not that I believe Taylor cannot host admirably, but it simply feels like the event is being overrun by clones. There are two demographics that are key to the success of Star Wars Weekends, the young padawans who are to be Jedi like their fathers (and mothers) before them and the holocron toting parents who can recite every Star Wars film verbatim and who are unafraid to call foul when even the most minute details are out of place. Let’s examine what each group is specifically looking for in the event. Padawans – They want to be in on the adventure. Star Tours, especially with its new multifaceted flight paths, and the Jedi Training Academy are not attractions and shows to them. They are real life missions where they barely escape the clutches of Darth Vader and jump to lightspeed as they bounce around the galaxy. They are in the story, they are the story! Characters they have only seen on their television or movie screens are walking around as if there is nothing out of the ordinary to see a Stormtrooper detachment marching through Disney’s Hollywood Studios. The ability to interact with these heroes and villains is the ultimate Star Wars experience for a child. The Jedi Council – They want to relive their afternoon daydreams. Children may be the driving force behind Star Wars Weekends, but it takes parents who had similar dreams of a galaxy far, far away a long time ago. They want to believe again, but they also want to dissect and gather as much true life information as they can. Meeting with actors they’ve long admired, gleaming a little bit of the magic behind the Force, and watching their children face down the Dark Side are the elements that pull parents to Star Wars Weekends. There are also childless adults, young and old, who attend Star Wars Weekends. I don’t want them to feel left out, especially since this is the group I belong to, but I feel like they are drawn to the event for the same reasons parents are, sans the child watching. With all of this taken into consideration, children aren’t going to recognize Taylor or Eckstein. To younger guests, they are just the people who keep talking and keeping them from battling Sith with their custom lightsaber. The hosts, for all the expertise it takes to carry oneself through such a role, are really the lifeline for adults in the crowds. I am happy to see the animated side of Star Wars getting some love, but I hope that future events consider combining the best of both worlds. Pairing a host from Star Wars: The Clone Wars with a host from Episodes I – VI would truly bring balance to the Force. That said, may the Force be with Eckstein and Taylor, they have certainly earned their place among the stars! Star Wars Weekends is slated to run from May 18, 2012 through June 10, 2012. Whether you’re strong in the ways of the Force, a scoundrel, or just a short statured collector, there is something for every branch of Star Wars fandom during the festivities.